New technologies are changing every industry, and that includes travel. More businesses are reinventing themselves with new and emerging tech, and we can expect increased speed and efficiency of traveling in the future. Let's take a look at some recent developments across the travel industry. Airlines and airports continuously work on improving the user experience. A shining example in this regard is Delta Air Lines. Now Delta travelers can gain access to airport lounges with the help of biometric technology. Delta's innovative service promises to transform the way we travel. 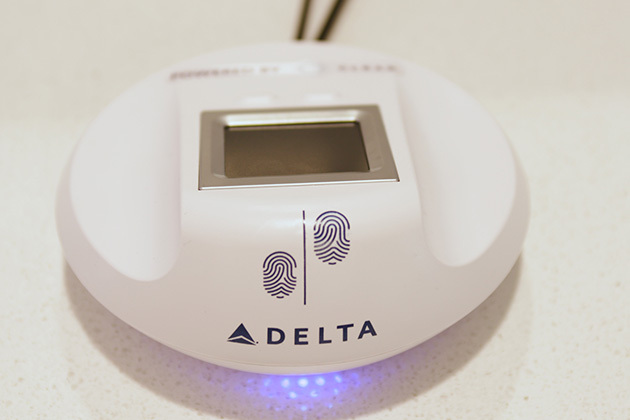 All Delta Sky Club members (meant for U.S. citizens or permanent residents) need is their fingerprints. A simple scan will allow them access to all 50 U.S. Sky Club locations. Another great use of biometric technology can be found at LAX Airport. The Transportation Security Administration (TSA) recently announced a trial to experiment with biometrics and facial recognition to speed up the security process. Currently, the technology is being tested in the Tom Bradley International Terminal, starting with two gates. Passengers can scan their passports and boarding passes at the gate during this time. Their information will be instantly verified, then a photo of the traveler snapped right away. TSA agents will still verify passenger identities to avert mistakes at this point. But with newer passports containing a microchip version of photos, the process will get simpler in future. The purpose of this experiment is to reduce dependencies on TSA personnel as well as expedite the security processes. Wait times and long lines have become the bane of travelers in recent times, giving airports and airlines a bad reputation. Customer complaints and social media backlash have hardly helped. The use of emerging technologies like biometric facial recognition will go a long way to mitigate these issues. LAX is, however, not the only airport to use advanced tech. Miami International Airport started a similar pilot program, as did Orlando International Airport (MCO) in a limited capacity. Voice assistants like Google Assistant and Amazon Alexa are now giving expert travel advice and even personalized travel recommendations. Their partnership with Lonely Planet will enable travelers to plan trips and itineraries without speaking to a travel agent. They can even get insider tips for each location without getting off the couch. Further adding to the wow factor, we now have driverless buses in London. A six-week trial will begin this summer for passengers traveling to and from London's Gatwick Airport. While cashless transactions are not new to the travel industry, an increasing shift toward plastic money and contactless payments is being seen in Europe. Greece, an economy ravaged by bankruptcy and currency failure, is one of the forerunners in this regard. The implementation of these easy transactions has helped it navigate the treacherous waters of bankruptcy and still welcome international travelers. Fascinating as these are, the travel industry is poised for more disruption. Emerging tech in blockchain and cryptocurrency is changing the way we transact, even if businesses are not prepared for it. Technologies like artificial intelligence, virtual reality, big data and robotics are going to be the next game changers. The new generation of travelers is quite ready. It now remains to be seen how soon the industry can adopt this new tech and reinvent themselves.